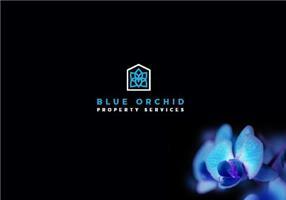 Blue Orchid Property Services is a one stop shop for your project from adding a new socket to a complete refurbishment. With more than 15 years’ experience we specialise in all Domestic Electrical Works, Renovations, Kitchens & Bathrooms. We are NICEIC Part P Domestic Installers that take pride in quality workmanship at a competitive price. Blue Orchid have the expertise to manage the complete project from renovations through to converting a listed building. Converting a Grade 2 Listed Toll House in Sussex into a 2-bedroom bungalow from a commercial building. We have undertaken all areas of this project from design & planning to completion. Works undertaken: New Slate roofs & Re-felt Flat Roof, Rewire, Consumer Unit, LED Down lighters, Smoke Detectors, Hot Tub Supply, Underfloor Heating, Multi foil insulation, External Lime Render, courtyard walls & York stone patio, Boiler & Plumbing, Kitchen, Bathroom, Skylights, Doors, Laminate & Decoration. New electrical installation of a 3 Bedroom Chalet Bungalow with new consumer unit, supply to garage board and pumping station, down lighters & smoke detectors. Complete Rewire of a 3 Bedroom Semi Detached in Bromley with new supply to outbuilding, new consumer unit, smoke alarms & down lighters. We cover South East London, Kent, Sussex & Surrey offering a free consultation for your project.